I have two new and exiting developments in my Warrior Series this month. First, for all you Apple users out there I finally have my series available on iTunes. Just follow the link on my book page through my website or search for me directly (Melanie P. Smith) through iTunes. Hope you will check it out! 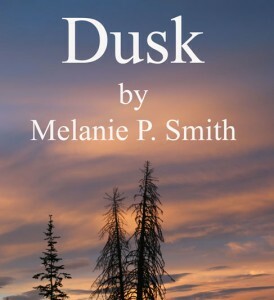 Second, Dusk:Warrior Series Book 1 is now available in print. Hardbacks and Paperbacks can be purchased directly from my website (Click here for link). Paperbacks can also be purchased through Amazon and will be available from Barnes & Noble within the next few weeks. Series update: I am currently in the proofing/ editing phase of Shadows, Book 4. I hope to have it available through your favorite eBook distributor in the next couple months. I’ll keep you posted and let you know when I have a more concrete release date available. In addition, I am also working on getting After Dark published in print and I’m still working on a new Romantic Suspense novel. Needless to say, 2015 is proving to be a very productive and exciting year so far.